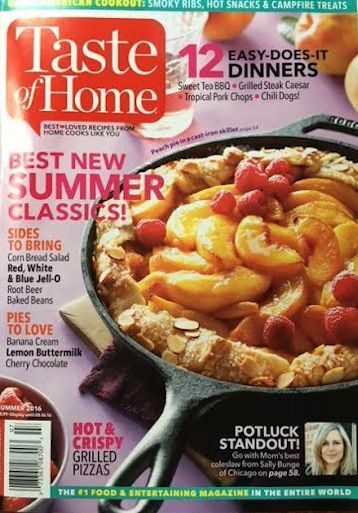 RUN to your nearest grocery store or book store and buy the Summer 2016 issue of Taste of Home Magazine. What a surprise! I had submitted this recipe about 6 or 7 years ago for one of their contests. I didn’t win the contest and so I had forgotten about all about the recipe. 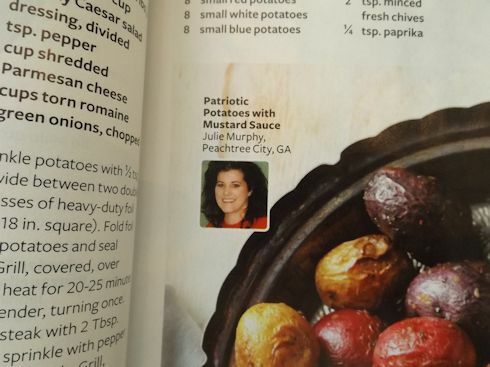 Then about two years ago Taste of Home sent me a letter asking about the recipe and asked when I served it and other questions. They said they were going to use the recipe in a future publication. 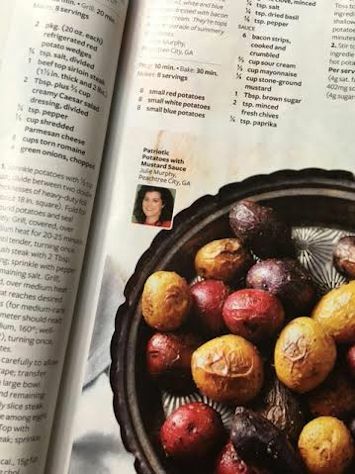 I’ve been scouring their magazines and cookbooks for two years and haven’t seen it. Then, yesterday I was sent this issue in the mail in a plain white envelope. I didn’t even open the envelope until this morning while I was eating breakfast. I thought it was an advertising copy at first but instead it was a complimentary preview copy for me. Fun! Pretty impressive…can’t what to check it out! Congrats!!!! That’s awesome! One of my fav mags. CONGRATULATIONS!!!! I WATCH “HOME & FAMILY” RELIGIOUSLY ON THE HALLMARK CHANNEL AND THEY COOK RECIPES FROM THIS BOOK ALL THE TIME. THEN THEY SKYPE THE SUBMITTER. MAYBE THEY WILL CALL YOU???? Can’t wait to try your recipe.